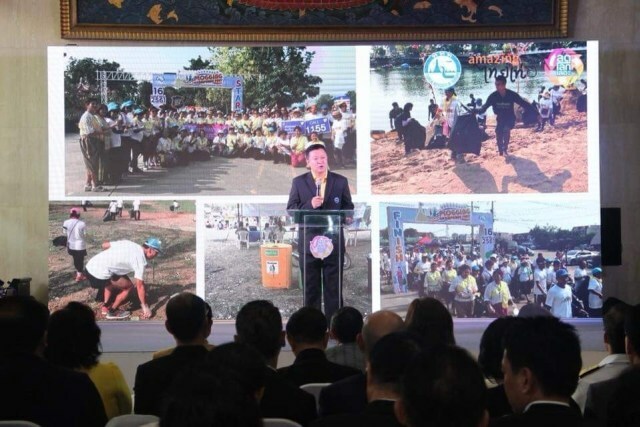 Bangkok, 2018-Aug-17 — /Travel PR News/ — The Tourism Authority of Thailand (TAT) is enhancing its ongoing responsible tourism strategy by announcing a new ‘Travel Thailand in Style, Reduce Plastic Waste‘ collaboration initiative with various stakeholders in a bid to cut tourism-related waste by up to 50 per cent by 2020. Mr. Yuthasak Supasorn, TAT Governor, said: “This collaboration is set to serve as a catalyst within Thailand’s travel and tourism sectors. These activies will instil a sense of environmental consciousness as well as encourage tourists to travel responsibly by leaving only footprints and taking only good memories. This entry was posted in Tourism, Travel, Travel & Environment, Travelers and tagged Initiative, Mr. Yuthasak Supasorn, tourism, Tourism Authority of Thailand, waste. Bookmark the permalink.